In recent years, increasing attention has been paid to police officers’ organisational commitment. This research paper contributes to this growing body of knowledge by investigating commitment amongst recent police recruits. 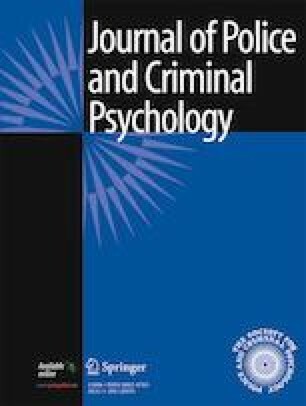 The paper examines the extent to which new recruits’ existing knowledge of the police service prior to becoming an officer predicts organisational commitment, and different possible sources of this pre-entry knowledge. Using a sample of 236 recent police recruits in England and Wales, the study observed a significant relationship between recent recruits’ existing knowledge of the police service and their organisational commitment. Prior police work experience (both paid and voluntary) significantly predicted existing knowledge of the police service, and in turn organisational commitment. In comparison, pre-entry police training did not predict existing knowledge of the police service, and moreover was found to negatively predict organisational commitment. The implications of these findings are discussed in relation to proposed changes to recruitment and entry routes into policing in England and Wales.